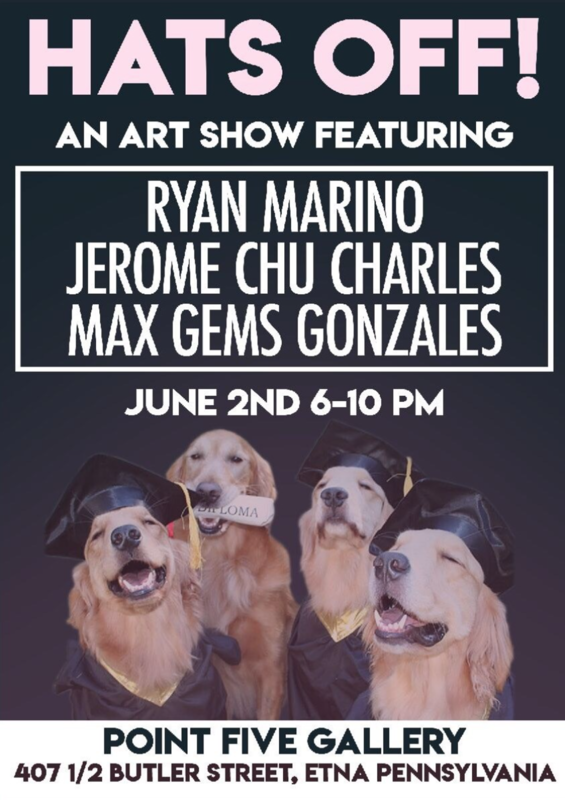 An art show with local Pittsburgh artists Ryan Marino, Jerome Chu Charles, and Max Gems Gonzales. 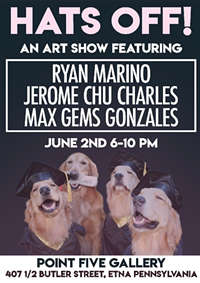 Join us for the opening reception from 6-10 p.m. June 2. Hours by appt.